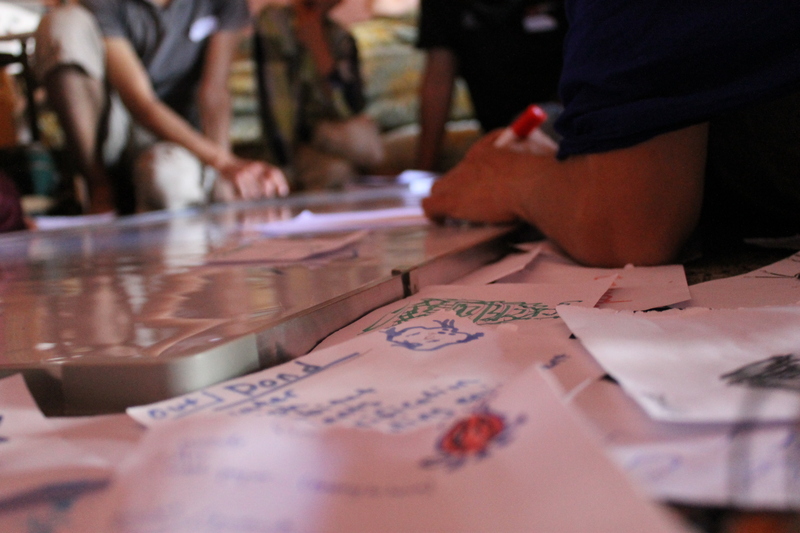 Permaculture Design Course (Certified) May 17th, 2014 in Marrakech + Implementation Internship! We will be running a Permaculture Design Course (PDC) May 17th- 30th. This 14-Day course follows the standard accredited 72-hour design course syllabus and will include several hands-on sessions including Composting and Soil preparation, Vegetable beds and Organic gardening, Wicking beds, Seed saving and more! This Course is in English only, there will be no translation. 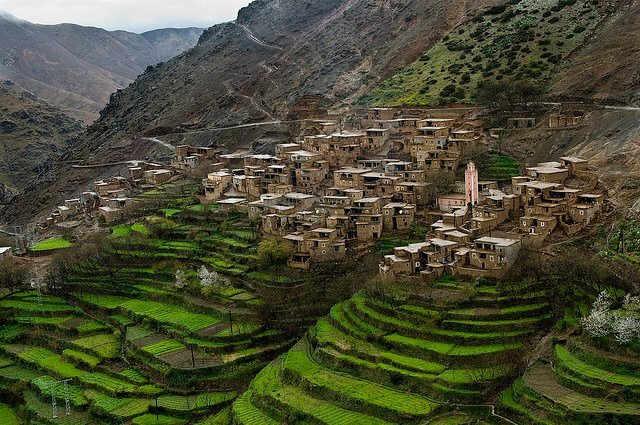 The course will be hosted in an organic olive farm in the foothills of the gorgeous Ourika Valley, 25 Km south of Marrakesh, right on the way to historical and scenic destinations such as the “Siti Fatma Waterfall”, Lake “Lalla Takerkoust”, the “Oukaimeden Ski Resort” The ancient Berber village of “Tinmel” and the “Toubkal National Park”. The course covers in detail the ecological basis of Permaculture design, the ethics, the principles of design, strategies for restoring soils, managing water, partitioning land between intensity of uses for efficient management, cycling of energy and minerals within our system, enactment of site survey and assessment as well as design strategies for different climactic, ecological, technological and cultural settings. Permaculture is a system that allows us to design sustainability into our own lives. Living sustainably literally means living in a way we can continue to live – a way of life which does not destroy the means of its own sustenance. If we consume food produced in a way that destroys soil, poisons the water and pollutes the air, as current systems of production do, we cannot be living sustainably and we will eventually no longer be able to produce food. The one sentence definition of Permaculture is: “A design system for sustainable human settlements and productive landscapes.” It is a conceptual tool-kit for how we can establish productive systems to support our needs while re-generating the ecological processes that support the planet. And it can be done at the domestic, community or commercial scales, as we need. – Design strategies for Temperate, Dry-Land and Wet-Tropical Climates. – At the end of the class, students engage in a group design project. Alex McCausland, an ecologist by background, has developed as a Permaculture practitioner and trainer over the last five years. He graduated in Biological Sciences in 2003 [BA 2.1 (Hons) Merton College, Oxford]. Fed up with the reductionism that pervades the conventional approach to living systems he turned his back on academia after graduating and spent several years traveling the world, WOOFing, working on farms and learning about different cultures and languages, during which time he became interested in development and food-security issues. In 2005 he discovered Permaculture, realizing it combined the holistic approach to ecology with practical community-based application that academia completely lacked. He then cooked up a plan to establish a project which would promote Permaculture as a means to achieve sustainable development in the third world. The next year he came across Ethiopia. Seeing a land of great ecological wealth and yet economic poverty and food insecurity, he resolved that this would be the location for the project. He took his first PDC later that year in Catalunya, Spain. In 2007 he returned to Ethiopia to establish a Permaculture–based business which would facilitate the local community to learn about and practice PC. It ended up being an Eco Lodge in the South of the country, which went on to become the site for Ethiopia’s first model PC farm. The model farm has developed with input from a number of volunteers, interns and PC practitioners over 6 years, such as Guy Rees, Dan Palmer, Rosemary Morrow and Tichafa Makovere. Working alongside these people Alex has developed and honed his skills as a PC designer and practitioner. During this time the project has hosted a total of 31 PDCs, 2 lead by Rosemary Morrow, 19 by Tichafa Makovere, 1 by Rhamis Kent. Alex co-facilitated on many of these while maintaining his role as project administrator. He has subsequently facilitated 8 PDCs, as lead trainer at Strawberry Fields. Alex has now gained accreditation from the PRI as a registered PDC Trainer. PDC Price for Local participants is 4500 DH, Price for International participants is 690 Euros. A Few Local students are receiving partial scholarships for this course. The Implementation Phase is being run on a Gift Economy model, where people make anonymous donations to cover their living costs and if possible support our project! Comfortable accommodation will be provided. Private rooms are available for an added cost. Full catering is included in the price fee and includes three meals and two coffee and tea breaks. The average temperature in the area during the month of May is a comfortable 26-29°C, the month of June has temperatures ranging between 30°C and 33°C with gorgeous nights. The farm produces olives as its main enterprise, Animals, Vegetable gardens and Seed saving. It also acts as a Guesthouse and a social gatherings site for Retreats and Workshops. The Average annual rainfall in the region is around 408 mm and the altitude is 840m. Humidity is 24%. What you will get from the Courses! PDC: This 2-Week full Permaculture immersion course will equip you with New tools for Whole Systems Design and Holistic Problem Solving. You will learn practical techniques and strategies to design sustainable human settlements that include: Sustainable Food production, Energy efficient design, Landscape regeneration, Water harvesting and storing and Animal Systems. You will learn to recognize Patterns in nature and think of ways to mimic them. Biomimicry or biomimetics is the imitation of the models, systems, and elements of nature for the purpose of solving complex human problems. This course equips you with all the necessary tools to produce a Permaculture design for your own life situation. It is the necessary first step in becoming a Permaculture practitioner and will allow you to go on to register in internships, training of trainers (TOT) courses or for a Diploma in Permaculture Design (PDP) all offered by various Permaculture institutions around the world. The PDC is a formative stage in career development which may compliment your existing life vision or may allow you to radically re-evaluate where you want to go from here. Implementation Internship: We invite you to partake in our Post PDC Implementation Phase where we will implement some of the design work established during the (PDC). Since our farm is at the early phases of development, you will have the unique opportunity to experience how a Permaculture Farm gets started! The internship will focus on the main priorities of the site, namely: Drip Irrigation and Water harvesting, Animal systems, Soil building, food production, Structures (Compost Toilet, Tree nursery, Animal shelters), Tree care (mulch, compost, ground cover).